The State is pushing the European Court of Justice to annul a more than 10-year-old decision that saw a tax exemption on mineral oils used at the Aughinish Alumina plant on the Shannon labelled by the European Commission as being illegal state aid. A hearing will begin tomorrow at the court, where Ireland will take on the Commission in what has become a long-running legal spat. 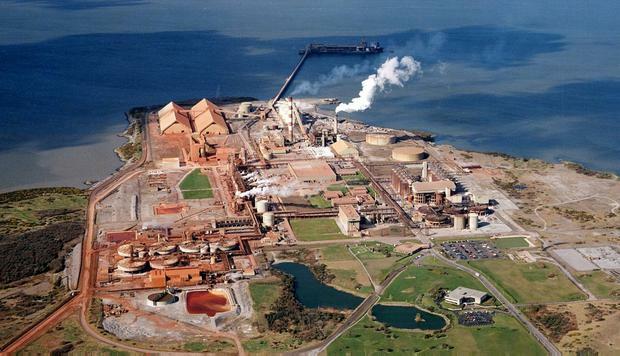 In 2005, the European Commission ruled that Aughinish Alumina had received €10m of illegal tax breaks from the State between 2002 and 2004, when it was owned by Swiss commodities giant Glencore. The State had exempted the facility from paying excise duty on heavy mineral oil it uses during production. The Commission ordered the government to recoup the money from Aughinish Alumina. Ireland appealed the Commission ruling, with a protracted legal battle involving annulments and further appeals ensuing over the next number of years. In 2012, the General Court annulled the Commission decision, arguing that the EU Council of Ministers had previously made decisions permitting exemptions from excise duty, and that those decisions could not be ignored by the Commission. But in 2013, the European Court of Justice again found that the General Court had erred in is judgment and sent the case back to examine a number of remaining arguments. Ireland is now seeking to have annulled the 2007 Commission decision where it found that exemptions from excise duty granted by Ireland, France and Italy, in respect of heavy fuel oils used in the production of alumina from January 2004 constitute illegal state aid. Ireland will make a number of pleas, including a claim that the Commission failed to carry out a proper competition analysis in support of its conclusion that the Irish measure can be assumed to affect intra-community trade and to distort or threaten to distort competition. The Rusal-owned Aughinish plant was in the eye of a US-Russia political storm in recent months.